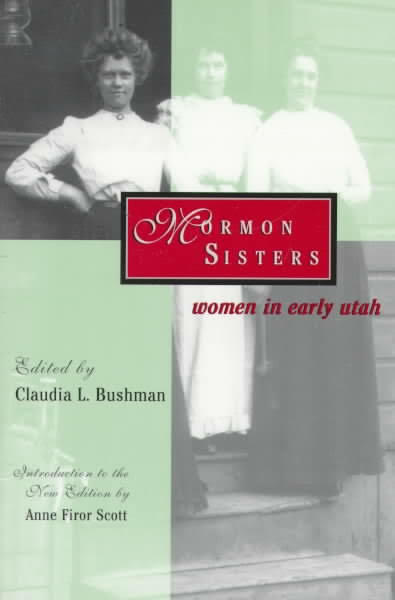 Mormon Sisters: Women in Early Utah is a pioneering study of Mormon women's history. Since its first release, this collection of twelve essays on different aspects of nineteenth century women's lives has inspired imitation and encouraged further research and writing. It helped launch the careers of several distinguished scholars and writers. This new edition adds an introduction by prominent historian Anne Firor Scott, an updated reading list, a new selection of historical photographs, and an update on the lives and careers of the contributors. Among the contributors are Christine Rigby Arrington, Mareen Ursenbach Beecher, Claudia L. Bushman, Jill C. Mulvay (Derr), Judith Rasmussen Dushku, Cheryll Lynn May, and Pulitzer Prize winner Laurel Thatcher Ulrich. Paperback, c1997, 297p. : ill. ; 14x22 cm.